AireMasters is a family owned company that has expertise in engineering, design and build capabilities, and installation and servicing of HVAC systems, including controls (analog and digital), piping system, including refrigeration systems, air conditioning, refrigeration, process piping, plumbing, building control systems, as well as service, retrofit and maintenance. AireMasters is signatory to a labor agreement with the Sheet Metal Workers International Association. 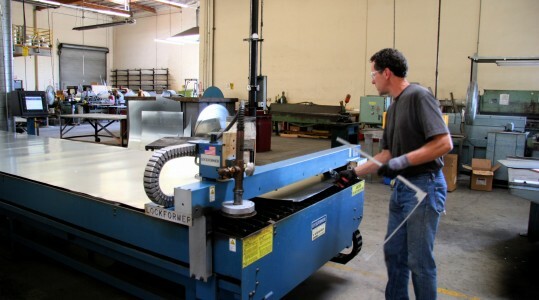 AireMasters has a staff with the training and experience necessary to design, fabricate and service the most advanced systems that our customers can envision. Our expertise and resourcefulness allows us to do this in the most efficient, practical and cost effective way possible. AireMasters performs work in any of the 50 states as well as Puerto Rico as required by our customers. The strong relationships that we have forged with many contactors in other states allow us to perform satisfactorily wherever we are needed. To date, we have successfully completed more than 100 projects outside of our geographic location. Consequently, our clients can depend on us to fulfill their needs wherever they decide to go.